We offer a bespoke advisory service, tailored to each client’s personal interests, values and goals. 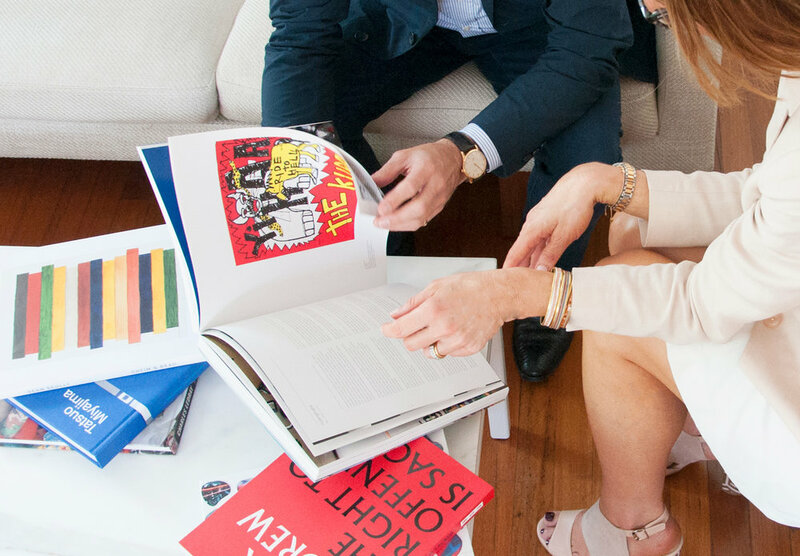 Mark guides collectors on their art journeys, from in-home consultations and presentations to guidance through the world's major art fairs, galleries and museums, making educated decisions along the way. We offer a bespoke advisory service, tailored to each client’s interests, values and goals. A carefully conceived art collection can reflect the values of an organisation and completely transform a corporate environment. As well as providing advice on acquisitions, we offer educational sessions to deepen knowledge of and passion for art. Mark Hughes writes regularly about art and collecting, with his contributions and opinions sought for publications including the Financial Review, Architecture Digest, Habitus Living and Vogue. Follow @markhughesart on Instagram for a journey through the world of contemporary, modern and historical art through Mark’s eyes. Featuring works seen at art fairs, museums, studios and galleries around the world.